Last month, the death of Gary Coleman shocked the entire world who knew him. The life Coleman lived and how tragic it was was known to the general public. His death had one bright spot, the fact he was finally able to rest. While Gary Coleman has been resting for a few days, the people around him are not. Two years ago, Gary Coleman divorced his wife, Shannon Price, but he left her in charge of his estate. Despite leaving her in charge, he left Todd Bridges in control of his will. But, his actual life was in the hands of Price. It was ultimately her decision to pull the plug on the former child star. After learning of exactly who was behind the death of Gary Coleman, Todd Bridges is very upset. Even after the cancellation of "Diff'rent Strokes," Bridges and Coleman remained friends. He appears to be one of only a few people who genuinely care about the man who was lost. Bridges was upset when he discovered the truth. 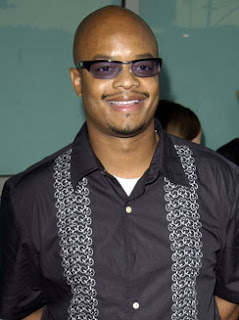 Once it was revealed Shannon Price allowed the plug to be pulled, Todd Bridges released most of his anger out onto her. He asked the question of how she could be so selfish. Yes, she had the power, but why did she make this decision. Even if Gary Coleman remained on life support, he was still out of her life. Price was pretty much impartial to the situation, but she made the choice to end his life. Bridges is very upset with her and does not know if he could forgive her for doing this to his friend.